Granny leaves the rest of us behind, with her new long-distance, brick-wall-smashing Wi-Fi. 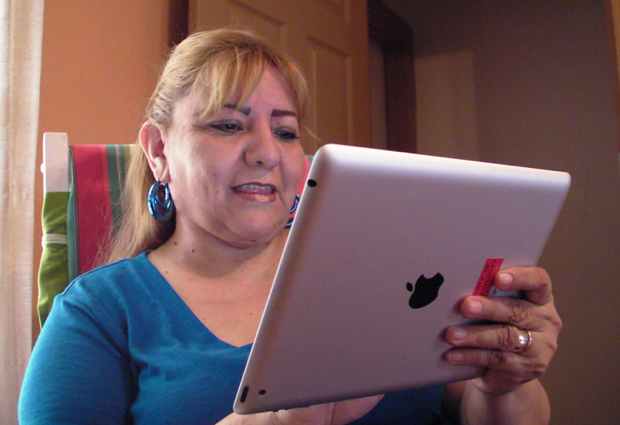 A Houston grandma, Leticia Aguirre, is believed to be the first residential user of so-called “Super Wi-Fi.” That’s according to Rice University, which had a hand in all this (and knows a good headline when it sees one). At 48, Aguirre is fairly young for an abuelita. A working grandmother, she says she has mostly used the Internet in the past to check that her paychecks have been deposited. When it works, that is. 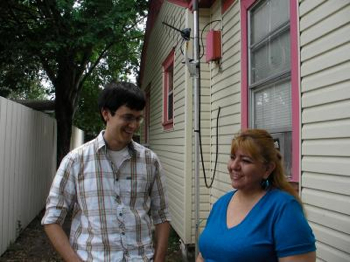 Though Aguirre signed up to be part of a mesh Wi-Fi network several years ago, she was on the outskirts of the three-square-mile area served by Houston nonprofit Technology for All. She was about to call to have her useless Wi-Fi antenna removed, when she got a call. What exactly is Super Wi-Fi? Gizmodo has one of the better quick run-downs out there. Fundamentally, it’s just like normal Wi-Fi–you log on to the network in just the same way from any device. It’s on a new spectrum, though; the FCC has just opened up a new stretch of spectrum, from 50 MHz to 700 MHz. With TV now digital, there are white spaces of spectrum that are now unused. What makes the Wi-Fi “super” is that, since it’s at a lower frequency, it can travel for miles instead of feet, and pass through brick walls. Google has been interested in Super Wi-Fi for a while, and has a hospital in Ohio it’s been running a trial on. They installed the new Super Wi-Fi antenna about two weeks ago, and Rice and TFA gave her an iPad 2 (not 3G-enabled) to start testing it out. Since then, says Guerra, Aguirre has learned there’s far more the Internet has to offer than checking on deposits. “She uses YouTube to watch videos, she’ll use Pandora and stream music while exercising or relaxing, and she’s been using using email to get in contact with us and other people for work,” said Guerra. (Aguirre was at work at the time of writing and wasn’t available to comment herself. “TFA_Free_Alternate,” they named the new network, to distinguish it from the previous free network that didn’t do the job. What a difference that “alternate” has made.